My Bottom Smarts: Erica Scott Returns! It's my pleasure to announce that our wonderful friend and spanko superstar, Erica Scott, has recently returned to blogging. 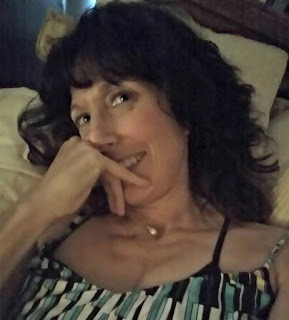 Her blog, Erica Scott: Life, Love, and Spanking, is a thoughtful life journal, an insightful discussion forum, and a fun place to visit. Erica is truly one of a kind. As described in her autobiography, she started her career as a spanking model at an age when most others have either retired or become tops. Years later, Erica remains active and is as popular as ever. Her performances sparkle with her clever snark and wit. Erica's genuine love for posterior persuasion is evident in every scene. I invite you to welcome our dear colleague back to our blogging community. Hooray! I love Erica's honest way of talking about her life. I have missed her and am so pleased to see she has come out of retirement.. Always enjoyed Erica's honesty and sense of humor! I will go and check it out!